How does DNA fingerprinting determine paternity? With this lab, students gain experience using agarose gel and analyzing results. Students use the results to isolate the genes from a child that were not inherited from his or her mother and determine who the father is. The students' understanding of this exercise helps them gain experience analyzing data and autoradiograms. This kit employs NGSS Life Science Disciplinary Core Ideas (LS1) and (LS3). 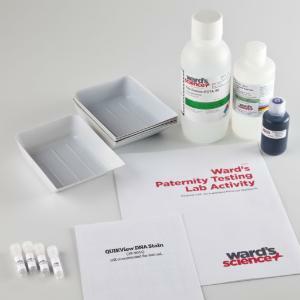 This kit is aligned with all published National Standards. Pre and post-laboratory assessments and vocabulary words target specific Science and Engineering Practices and Common Core standards. The teacher guide also contains specific "Did You Know" concepts that link the real world with the scientific standards explored. A student copymaster is also included. 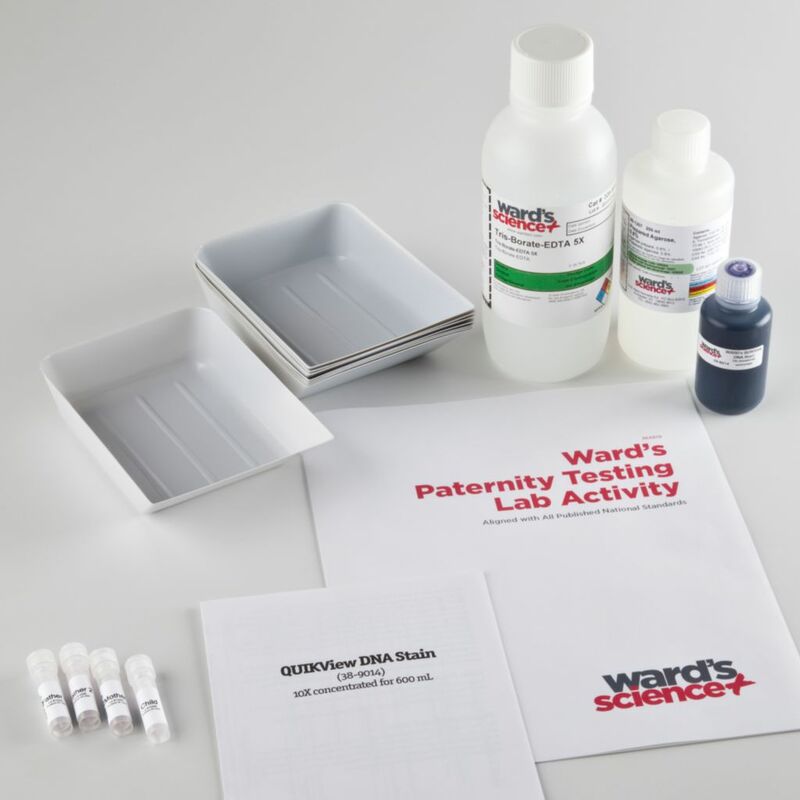 Ordering information: This kit includes 200 mL agarose, 0.8%; 500 mL 5X TBE running buffer; one bottle of Ward’s QUICKView DNA stain concentrate, 60 mL; 80 gel-staining trays; coupon redeemable for the following DNA samples: 80 µL each of "Mother"; "Child"; "Alleged father #1"; "Alleged father #2". Agarose electrophoresis chambers, power supplies, a water bath or microwave, micropipets with tips, gloves apron, goggles, lab markers, and distilled water are required but not included.